There are currently 90,428 users on this website. 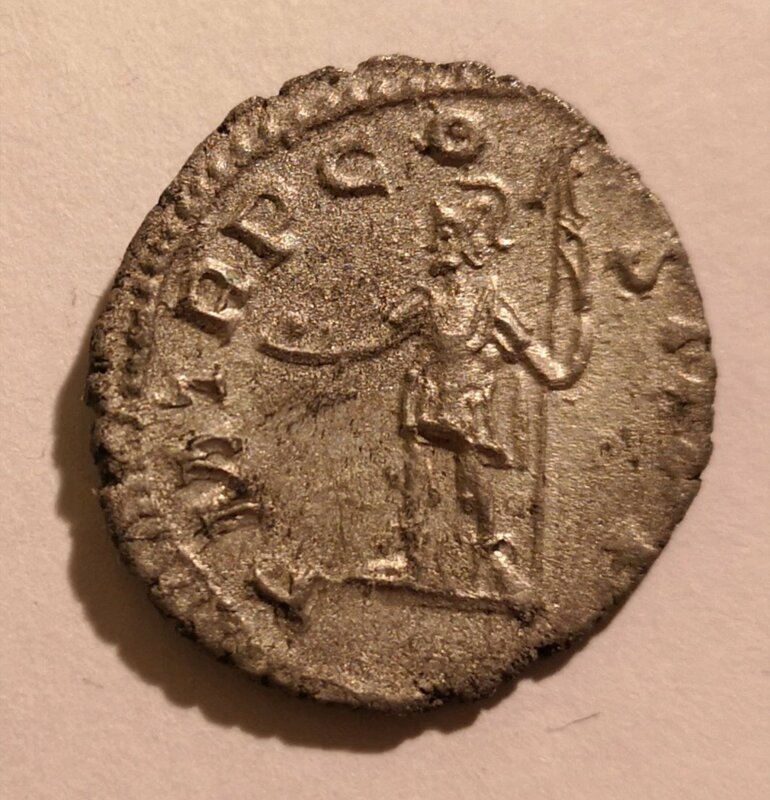 Picked up another nice Ant of Postumus - I try to pick up any I see for <£10, but I went slightly over budget for this - £10.05. This one is a bit off center on the reverse but the die is crisp. The obverse is well centered and a good strike from a good die, but there is some encrustation. 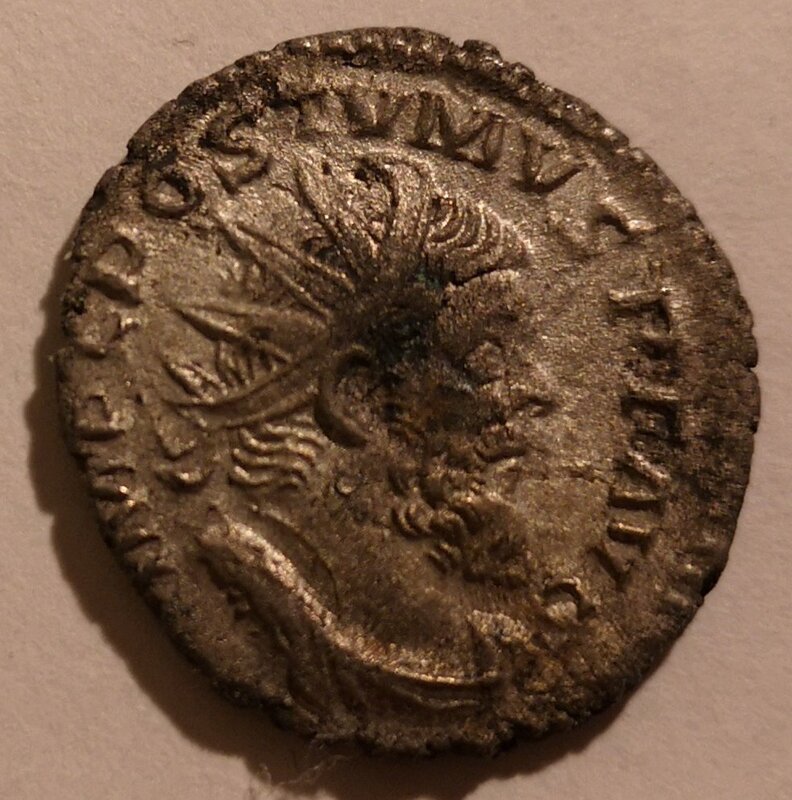 This is an early issue (COS II), around 260AD (Postumus having captured Gaul in 259AD). The COS I and COS III issues for the same design are very similar. Good looking coin with clear devices. Well done, Ben. I agree, excellent detail especially on the bust. Amazing remaining detail on this one @ben. What is the dude on the rev doing? Jai alai? Nothing like snagging a great coin at a great price. For me, that is another aspect that I love about this hobby. I thought mine was a steal at just under $25 or just under £19. It took 0.63 seconds to rattle this change.